Thank you for choosing FASTDRY Environmental Carpet Cleaning, and giving us the opportunity to tell you why we’re so excited to offer our Fast, Safe, and 100% Guaranteed complete odor removal service. We are a local family owned company that grew as an extension from our carpet cleaning business. We saw a need for a fast, safe, and effective way to completely eliminate odors and be able to guarantee our work. 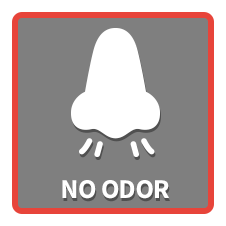 We are thrilled with our odor elimination system and we just know you will be as well. We always take our time to make sure the work we perform for you is done right. We never rush a job. We highly value our clients and would love to have you as a “client for life”. If ever a client has any questions or concerns with any aspect of our work, we take care of it immediately. When all is said and done, if you are not absolutely thrilled with the experience…We will treat it again at no cost to you. If we still can’t make you thrilled with our odor removal service we will refund your money. No questions asked. No hard feelings. What could be more fair?